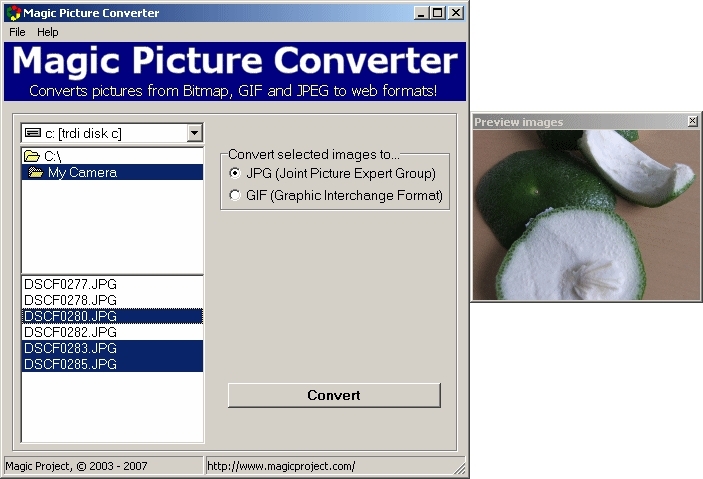 Magic Picture Converter converts digital photos and images in BMP GIF and JPG formats to most popular web formats. The process is done in batch mode which means that you can convert all the images in a folder just with one click. The original files are not overwritten for future editing.